Will (James Franco) has been trialling a new drug to combat the effects of Alzheimer’s, testing it on gorillas. His boss, Steven (David Oyelowo) is concerned with making money, but when one of the treated animals appears to go crazy and get quite violent, Steven pulls the plug. There is a little baby, Caesar (who later is played by Andy Serkis with a whole bunch of special effects), who Will takes home to his father, Charles (John Lithgow), who is suffering from Alzheimer’s, and Caesar is very smart, having had the effects of the drug pass down from his mother. When his renegade use of the drug on his father stops working, Will develops another without realising the danger of it. Meanwhile, Caesar has gone all protective on the evil neighbour who was hassling Charles and ended up in an unpleasant facility run by John (Brian Cox) and Dodge (Tom Felton). Caesar has come to understand that he is not human, and he gathers an army to find his home. Phew. It’s a big plot, really, and I haven’t even covered it all. There are some truly shocking lines in the story (I think my favourite was “You know everything about the brain except how it works”) and parts are pretty cheesy. But overall, I really enjoyed it, I enjoyed the way the characters interacted and it has set itself up for the sequel, the recently released Dawn of the Planet of the Apes. 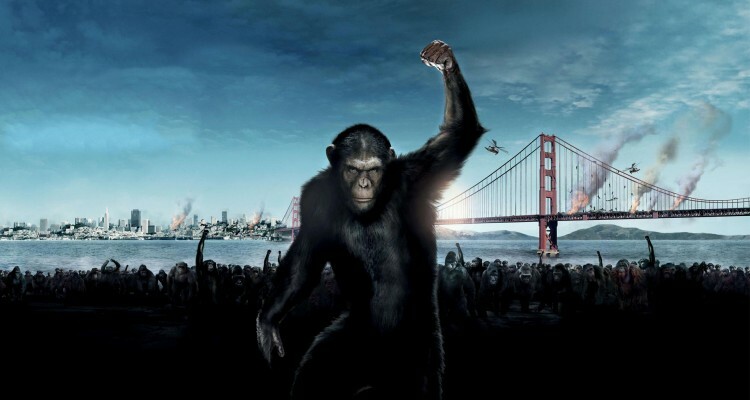 Rise of the Planet of the Apes was nominated for an Oscar for Best Achievement in Special Effects.